Hi there! My apologies for not writing more often (hey; this sounds like I’m writing to relatives all of a sudden. My dog ate my free time. Thank you for the socks, Aunt Mahetabel). I have been busy working on some pretty exciting projects I can’t wait to share with you soon. In the meantime, I have such a hankering for daikon radish, now becoming more widely available, that I wanted to use it in a casserole. With only a fraction of the starches and carbohydrates as potatoes, forget about your textural concerns when you hear the word “radish” or the typical bite you associate with the red radish. Boiling cubed daikon for 20 minutes renders a potato texture so terrific, you’ll forget the word “radish” as you’re downing your fourth cheesy, delicious mouthful. 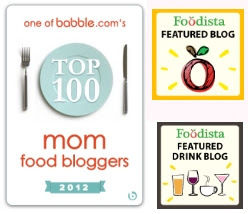 Tip: Can’t find daikon radish? 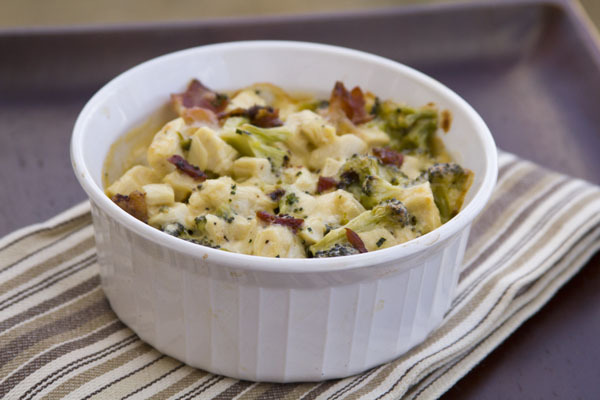 You can use green beans, broccoli, or cauliflower in this dish instead. Daikon radishes are such funny looking root vegetables. After having no real luck with turnips, and with rutabagas pretty high in carbohydrates, I was so pleasantly surprised by how doable the daikon is, especially since I control my blood sugar (and lose weight) through dietary management or carbohydrates. This dish is also pretty special because it can be served on its own, over spaghetti squash or zucchini noodles, or as a side to turkey salisbury steaks. It’s pretty darned versatile. Oh, and if you can’t find daikon, no worries–substitute with green beans, cauliflower or more broccoli instead. See? I told you I’m a cheap date. OK, enough gab from me. Eat your vegetables. Bring 2 quarts of salted water to a boil over high heat. Cube daikon radish into ½” cubes. Add daikon to the pot and boil for 20 minutes or until slightly softened. Drain thoroughly. Heat butter in a 2 quart sauce pan on the stove over medium heat until melted. Add salt, pepper, mustard and half and half. Heat to boiling, stirring constantly, for one minute. Remove from heat. Add cheddar, mozzarella, and feta. Stir until melted. Prepare fresh broccoli by cutting florets and stems into smaller pieces. 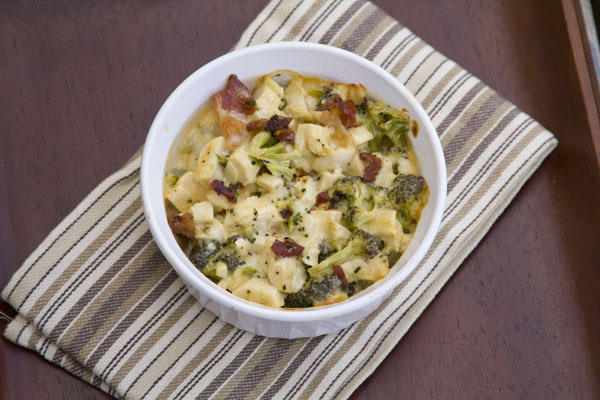 In a 12 x 12 casserole, combine cheesy chicken sauce, daikon, bacon and broccoli. Bake, uncovered, at 325 degrees for 20 minutes. Does the sauce get combined with the other ingredients before baking? Can I freeze this in portions and eat later? It does all get combined. I made that more clear. Thank you for asking! You can definitely freeze and eat later. Hey Jamie…how much mustard? Did I miss it somewhere? Right? I didn’t realize I hadn’t posted in so long until a few readers emailed me to tell me the subscriptions were broken… I mean, I knew it had been a day or two (I thought). Time flies! I was wondering what had happened, as well. I was afraid you weren’t gonna be writing anymore and I didn’t wanna pester you by asking. Any thoughts on substitutions for those of us who have lactose issues? I can usually stomach cheeses but not half and half or heavy cream. Coconut cream? How about coconut milk or almond milk? Instead of the cheese, you could use nutritional yeast for the umami, and arrowroot to thicken (or cook leeks and stick-blend them into the sauce to thicken). Ok, couple of questions. I bought some diakon radish, put it in a crockpot and cooked it 8hrs on low with the roast. It still had a zing. I heard that pre-cooking them takes it out. Do you find this to be true? I thought the texture was great though. What brand of bacon do you use? It’s looks so fatty and yummy! Boiling for 20 minutes definitely removed the zhwing of the radish, so you’re not getting that horseradish zing if you boil them on the stove and then add to the dish. The bacon we used for this were the “Ends and Pieces” because we wanted big, meaty bits of bacon and not dainty, frail whisps of porcine product. that’s where horseradish comes from? wow! I had no idea! 🙂 thanks for the education. Very excited to try this. Have been wanting to try daikon since I was in the local ethnic market and some Peruvians were very excited to see daikons available. They were chattering away in their native tongue. They were so happy. I wished I could follow them home to see how they were going to prepare them. I see a trip to the market in my near future. I put some daikon in my pot roast the other day and while it was good it reminded me more of a turnip than a potato. Parents didn’t comment either way so it’s going to be a staple. Easier to buy in smaller quantities than a wax turnip (what you call rutabega). Hi Jamie, What a cool idea! I’ve access to Daikon all over the place, surrounded by Asian markets in the San Francisco Bay Area. 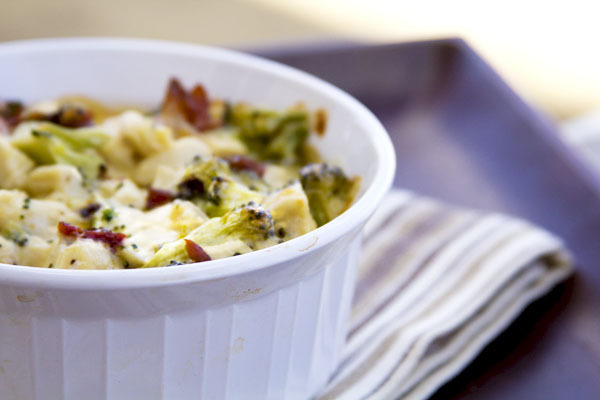 Would you say this dish can be made without the brocolli? To go for that Twice Baked Potato Casserole feel? If so, could you share what the net carb count is just for Daikon? This dish looks great. I haven’t seen daikon but I do have celery root in my fridge (celeriac) and it definitely tastes like potato and is low carb. Do you think It would work in this dish? I made this tonight without the daikon (not available locally), and it was scrumptious! 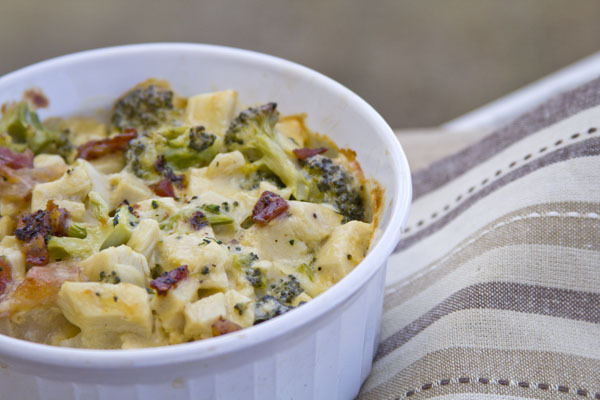 The broccoli was just the right texture to taste fresh without being overly firm. My non-lc husband loved it, too! I made this last night with cauliflower instead of the radishes. I had company over and she LOVED it! She had 2 helpings after the original lol. Defiantly a keeper! 12 x 12 casserole? seems huge………………is that correct? I like the look of that sauce! And about your absence… ya know… a day without Jamie is like a day without sunshine. I made it last night and it was delish! However, I have to watch calories as well as carbs, so I used 1 tbsp butter, 1/2 cup of half & half, 1/2 cup cooked bacon and 1/2 cup of each of the cheeses. I know it would have been creamier if made as written, but it was still very good and definitely a keeper. My hubby was sorry when it was gone. Oh, and since it was much lower in calories with my proportions, we could each have larger portions. If I had made it as written and stuck to the recommended 8 servings, hubby would have wondered why I was only serving an appetizer! I found daikon radish at Whole Foods. It is a wonderful find; very much like a potato in taste. Isn’t daikon surprisingly terrific? I am so glad you gave this a try. I know I’ll be using more of it. I am definitely going to try this. I noticed some others had tried the daikon in a slow cooker or with a roast but still found it bite-y. I’ve never used it, but the potential to use it as a replacement for potatoes has me intrigued – especially for upcoming St. Patrick’s Day dishes which (naturally) call for potatoes. Do you know if boiling it and then adding it to corned beef or lamb stew in a slow cooker would overcook it or maybe could I boil it half the time and then add to a slow cooker? Of course, the next trick will be locating one of these things in the grocery store and knowing how to peel? scrub? trim? cut? it! Yay for trying new things! Hey there! I’d boil first and then add it, just to be safe. Granted, I typically add the daikon right to my dishes to bake and don’t boil, but boiling does remove the added starch and gamey qualities, also softening the vegetable ever so slightly. They peel super easy. Just use a vegetable peeler! I cut off the top (though they typically come trimmed already). And I peel, so I don’t scrub them down. To cut, that depends on use. For an au gratin, I slice super-thin. For casseroles, I cube. How do I cook the chicken and bacon in this dish? Looks delicious. I bake the chicken and I also pan-bake the bacon. It’s just easy. I made this last weekend and it was wonderful. I just wanted as a side dish so left the chicken out. I also was almost out of butter (horrors, how did that happen) so used the bacon grease from frying the bacon to make up most of the butter portion (only had 1 tablespon). I also used only 3/4 cup heavy cream and the other 3/4 cup was chicken broth. This was so awesome. The daikon was wonderful as a potato substitute. Before this I had only used Daikon as a replacement for chips with dip. Which is super yummy. Now I am going to try using Daikon in other dishes. So excited for another great LC solution to potatoes. I cannot thank you enough for all you do that helps me maintain good blood sugars and a healthier body. I know this is late to the party but I have to report that my husband’s 95 year old grandfather gobble this up just now. He hates broccoli and he is not diabetic so I substituted creamed corn,his favorite vegetable, just for his portion, by scooping out a little into a separate dish before adding the broccoli. The rest of it still in the oven for the rest of us. Its in the oven. Only mistake I made was layering and pouring cheese over. Well see soon enough but the cheese sauce is delicious!! These daikon’s are not available in my area. What are your thoughts on turnips? I haven’t used these ever, but have heard they are very similar to potatoes. Hi! Turnips are pretty carby. 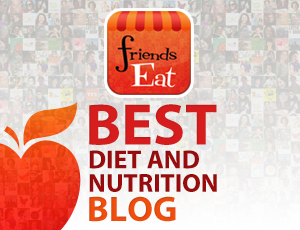 You can use them, but be sure to account for the carb differences. I love zippy cheeses like sharp cheddar. Anything with a little twang or kick is perfection! Thank you so much! I am so very happy you like this recipe. Yay! Thanks so much, too, for taking the time to let me know! Yum! I used red radishes and they were great! 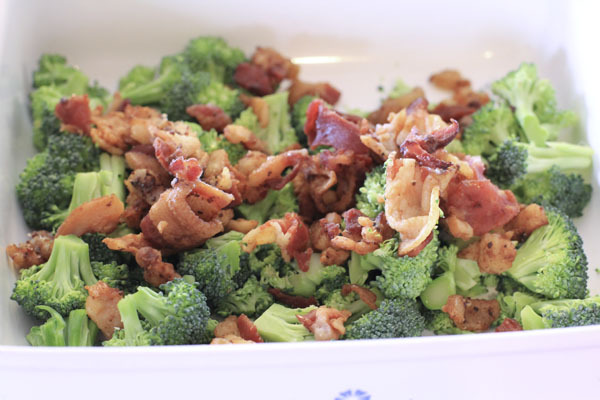 I also used frozen broccoli, it was a bit too watery from the frozen broc so I will use fresh next time! I definitely see how you can add loads of other veggies too!! I am so glad you liked the recipe! I like your additions. It’s amazing how watery frozen veggies can be. You almost have to thaw and drain them before using–and even then.